I have created a tool in Model Builder to plot telecoms data - the user clicks a point on the map, enters a radius and enters an azimuth. The model then creates the buffer and cuts a segment out of the buffer based on the azimuth angle. In order to calculate the bearing of each line in the segment, I have added some code to the Field Calculator to ensure it takes into account there is 360 degrees in a circle...see below. I want to publish this tool as a geoprocessing service to ArcGIS Portal, to then use as a widget within WAB. I cannot publish the tool with the codeblock written in VB and therefore need to convert to Python, can anyone help me with the syntax please? Ad a new field and apply the following expression in it, however, I am not expert in VB, but I think it should be something like this. In Python you don't need to declare the variable ahead of time. Python formatting of if statements is if condition: with the next line or lines indented. The word then is not included. Else statements are on the same indent as the if, followed again with : and an indented line or lines describing what to do in that condition. There is no explicit end if. Since you're doing this in the field calculator, you're likely going to have to wrap this in a function definition, like below. Pass the field variable into the function with expression = functionname(!fieldname!) e.g. getval(!Azimuth!). Get the values back out using a return. Python code blocks are not that different from VB. 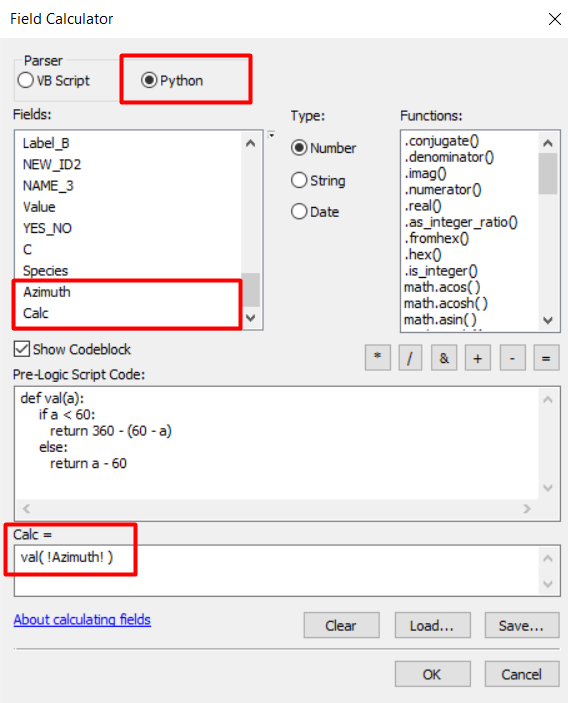 If you read this page : ESRI help : python field calc you should be able to convert your code with no problem (there are lots of examples). Not the answer you're looking for? Browse other questions tagged arcgis-desktop modelbuilder field-calculator python-parser arcgis-10.5 or ask your own question. 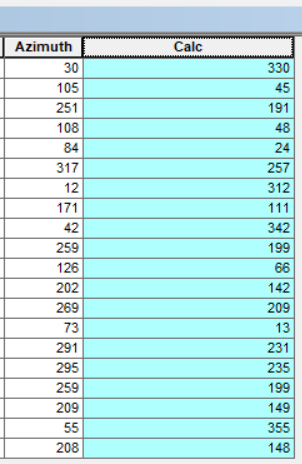 Splitting string in Python parser of ArcGIS Field Calculator?